While having a wedding in your hometown is not only convenient for you and your family and friends, there’s nothing like a destination wedding. 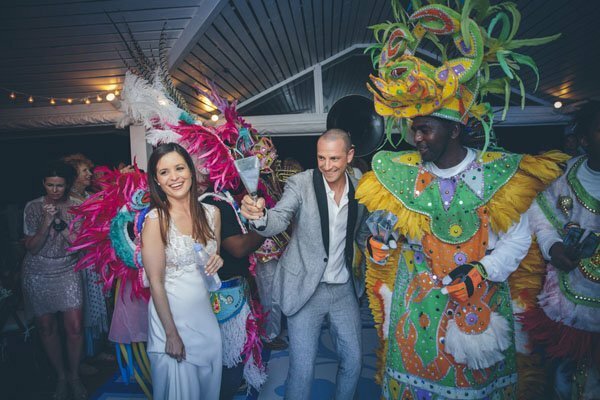 It gives you a chance to say ‘I Do’ in a dream destination, and also gives guests an excuse to get out of town and get a little R&R while celebrating your wedding. 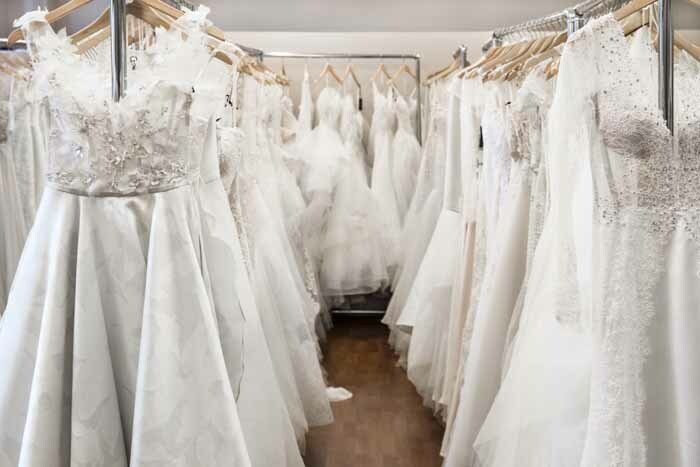 Whether you and you fiancé decide to tie the knot on the shores of Hawaii or among the breathtaking mountains of Colorado, there are a few things you should keep in mind while planning for your big day. Need help planning a destination wedding? Head to DestinationWeddings.com to get expert help and travel discounts. 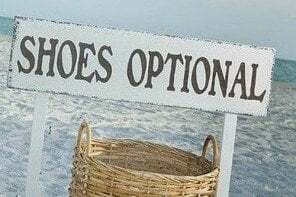 Do you love the beach but your future hubs hates the sand? Or maybe he loves to ski but you hate the cold? 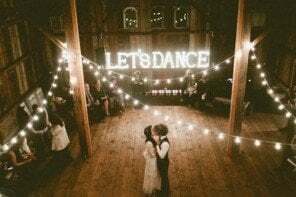 Finding your dream wedding destination is a mutual decision, so while it might be trying at times, it will be important to find a place you BOTH love. You’ll also want to factor in where most of your guests will be flying in from. If the majority of your guests live on the East Coast, than California might not be the most convenient location. 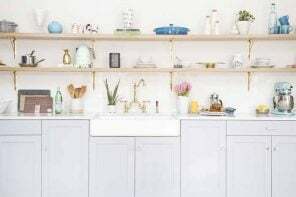 Instead, try to think of a place that excites you and your fiancé that most of your guests will enjoy and be able to get to without a major headache . Looking for ideas? If you’re more of an adventurous and nature-loving couple, you might love the scenery at an amazing Wyoming wedding venue like the Brush Creek Ranch. Or maybe the thought of an English countryside wedding at an idyllic venue like the Babington House is more your style. Either way, you’ll want to find a spot that both you, your fiancé, AND your guests can enjoy. Mexico and Florida can be beautiful places to have a wedding, but a wedding during Hurricane season (which runs June to the end of November) can potentially ruin your plans. That’s not to say that you CAN’T get married during those months, just keep that in mind as you plan your wedding. You’ll want to ask your wedding venue, hotel, and other wedding vendors what will happen if a hurricane is forecasted during your wedding weekend, and also check into the various wedding insurance options available to you so you can protect your investment if a storm does hit. Getting married in the height of tourism season can make hotel and airline prices skyrocket. Be sure to price out a sample flight and hotel room for guests before deciding on your destination wedding location to see if it’s going to be over the top. If it is, see if there’s another weekend or month that might make travel packages a little bit cheaper. 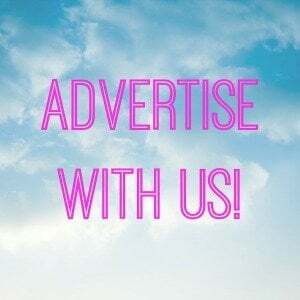 Check with various hotels in the area to see what discounts they can provide to guests, and also check to see if an airline that services the area offers a discount code. Click here for a full list of participating airlines. This isn’t just a one day event. This can easily turn into a big weekend full of fun and love with your closest family and friends that can cost way more than a local wedding. In order to be fully prepared for this, you’ll want to factor in ALL extra expenses that might come up. 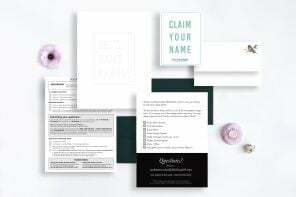 This includes items like welcome bags for your guests, hiring a wedding planner, flying in your vendors, and additional activities for you and your guests. Tip: One of the best ways to save money when planning a destination wedding is to use the local vendors. For example, having to fly and lodge your favorite wedding photographer could add at least an extra $800 to your tab. However, some wedding photographers are willing to reduce their rates or shoot extra hours for destination weddings, so don’t be afraid to ask what they might be able to offer. 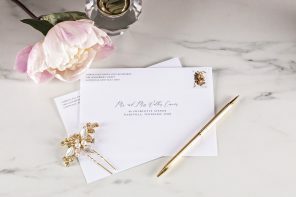 Depending if you’re going to get married during high or low season, you will want to reserve hotel blocks as soon as possible, and let your guests know 10-12 months in advance with a Save the Date or even a Paperless Post Invite or personal email to let them know what you’re thinking. You’ll also want to check with key guests (like your future Maid of Honor, Aunt, or Best Man) before booking your date to make sure they are not only up for the trip and financially able to do it, but have the dates available. If you plan on traveling abroad, this will require more advanced planning as well (not just for you, but for your guests, too). Calling off work, booking babysitters, purchasing airfares, and renewing passports all take time, so make sure you leave a good amount of it for your family and friends to take care of everything. Ready to start planning? 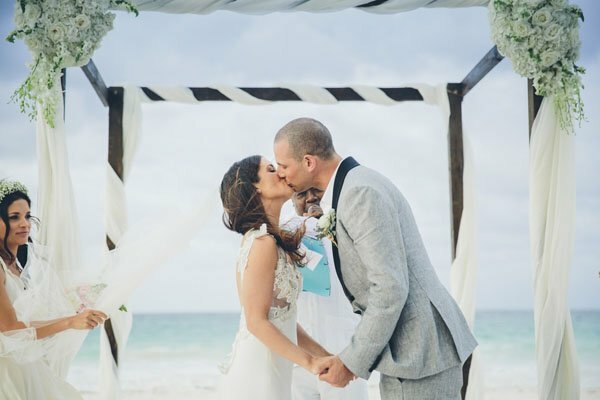 DestinationWeddings.com will pair you with a specialist to help you plan your destination wedding (without the stress). Click here to start. 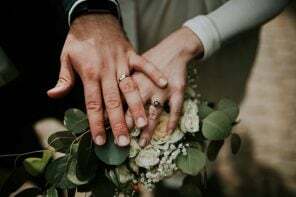 Every country and city has certain requirements when it comes to getting married legally, so make sure you and your fiancé have everything you need in order to say ‘I Do’ in that destination. You’ll also want to know what’s required to obtain a marriage license (such as a passport, birth certificate, witnesses, etc.) or how many days you have to be in the country to get one. For example, in France you have to reside in the country for 40 days before your civil ceremony, which is why many couples will have the legal ceremony in their own country and a second, unofficial one for family and friends during their destination wedding. 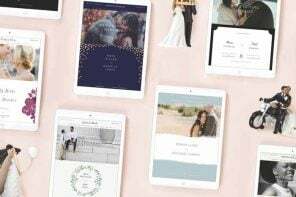 While couples can theoretically pick a wedding venue without ever seeing it, it’s always better to plan on seeing a wedding venue at least once (ideally before you book it). 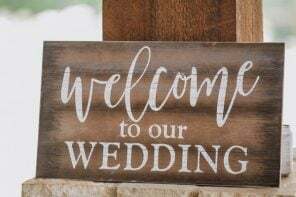 That way you can make sure it can not only accommodate your needs and guest count, but it will help to get a sense of what wedding decor you want in the space and what the hotel accommodations are like for you and your family and friends. It will also give you a chance to meet with local vendors to make sure you get along and like their style/attitude. You’re going to want all the help you can get, so take advantage of any planning services your hotel or destination wedding venue might offer. While hiring a wedding planner is not required, having someone local to take care of minor (and major) details will be a major stress reliever while you’re planning from home. They’ll also be able to help you with many of the items above, such as informing you of local laws and recommending vendors. Hiring a local wedding planner could ultimately mean the difference between having to fly back and forth between your destination wedding location or simply answering questions via phone or email from your wedding planner. 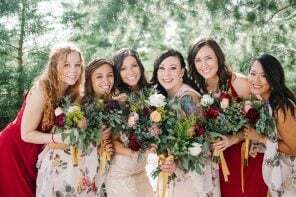 Your family and friends are spending a lot of money in order to make it to your big day, so try to make this process as easy and welcoming as possible for them with small gestures that will go a long way. 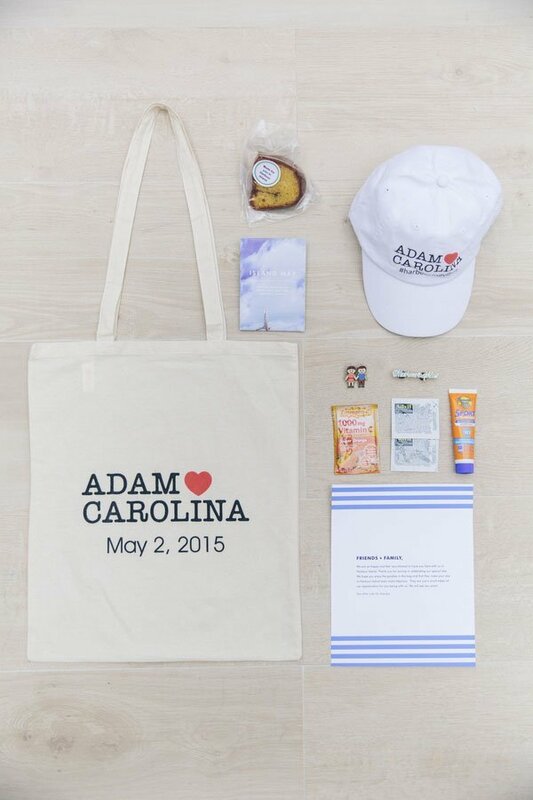 A guide to local activities and restaurants in the area for while they’re visiting, a wedding welcome bag filled with essentials for their trip (such as sunscreen and flip-flops), and directions to/from the airport to their hotel as well as your wedding venue are all things that will help them settle in without any major hiccups. Also be sure to advise them of what to pack on your wedding website and provide important phone numbers for you and/or your fiancé or parents if they have any problems. If you’re having a destination wedding where all guests are coming in from out of town, it’s traditional to invite them all to a rehearsal/welcome dinner the night before, so keep that in mind when you’re budgeting, too!